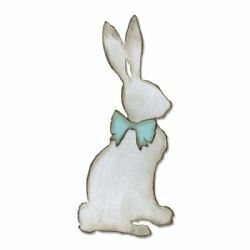 Hop along for some creative fun this spring with the Cottontail Bigz™ Die by Tim Holtz®. This realistic rabbit comes with an optional bow, so she’s ready to celebrate in any season. Perfect for Easter projects, or any woodland- or nature-inspired make.